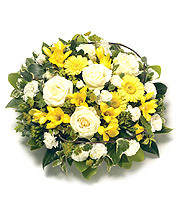 Posies are a good way to mark special dates of remembrance - a month's mind, anniversay of a death or a birthday. Small posies are most suitable for a child's grave. They are available in a range of colours.